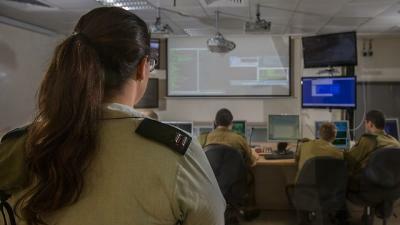 Iran tried to hack Israel's missile-alert system more than a year ago, Israel Defense Forces' Cyber Defense Division Commander Noam Sha'ar told Israel Hayom. The attack was detected due to the constant monitoring of an Iranian cyber group, one of dozens run by the Iranian Revolutionary Guard Corps with a budget of more than 1 billion dollars. It turned out that the group tried to hack several systems in Israel apart from the missile-alert system.